Menagerie was a great book and ended in a way that looked like the second was going to be different and possibly ever better. Sadly *small spoiler* by the end of the first chapter, it becomes very much the same book as the first. The plot is not identical, but the situation is nearly the same... but missing much of the character interaction and development that made the first book a great listen. I would give the book a three, but once again it ended in such a way that the next book could be new and refreshing. This series is one of my favorites and I've been waiting in great anticipation for this fourth book to be released. Perhaps my expectations were too high after the previous three and the wait for this one but it felt rather drawn out with not a lot happening. All of these books surprise me really because there's a lot of the day to day interactions between the characters going on with spurts of excitement. But this book dealt too much with broad strokes and big picture and very little was added about the personal relationships between the characters. Maybe this is needed for where the story is headed. I'm still looking forward to the next book (assuming there is one). I only wish this book had been shorter. With a bit tighter story telling it might not have seemed so slow. While walking home from work one evening, Jeff Manning is struck by a car and killed. Two women fall to pieces at the news: His wife, Claire, and his co-worker Tish. 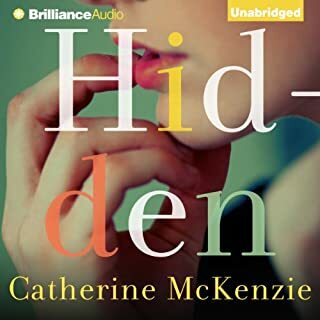 Reeling from her loss, Claire must comfort her grieving son as well as contend with funeral arrangements, well-meaning family members, and the arrival of Jeff's estranged brother, who was her ex-boyfriend. Tish volunteers to attend the funeral on her company's behalf, but only she knows the true risk of inserting herself into the wreckage of Jeff's life. The story kept me wondering until the very end, just as Claire did. The relationships between the characters felt very real. Jeff Cummings and Amy McFadden did well as Jeff and Tish, but as the other reviewers have said Angela Dawe's performance as Claire was flat. Sadly, I've had this problem with some of her performances in the past. On a whim I decided to try speeding up the playback. At 1.25 speed (something that's possible in the apps without making them sound like chipmunks) I discovered that not only was Ms Dawe's performance reasonable but that of Mr Cummings and Ms McFadden were actually improved as well. After that the listen became rather enjoyable. I recommend you try it. Maggie Silver has never minded her unusual life. Cracking safes for the world’s premier spy organization and traveling the world with her insanely cool parents definitely beat high school and the accompanying cliques, bad lunches, and frustratingly simple locker combinations. (If it’s three digits, why bother locking it at all?) But when Maggie and her parents are sent to New York City for her first solo assignment, her world is transformed. The first chapter didn't impress me much but the second chapter was better and the story kept getting better from there so I'm glad I stuck with it. It's full of humor, light adventure and enough teen problems to be realistic for the characters without being annoying to me as an adult. I soon found myself looking for reasons to keep listening rather than doing something else. I wasn't paying attention so was surprised to find at the end that it was read by the author. 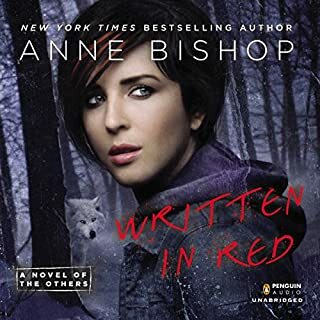 While not my favorite narrator she did a good job with bringing life to the story and giving each character their own personality. Her one shortcoming was that there was no real difference in the sound of the voices, so you needed to pay attention in some places to keep up with who was talking at any given time. Overall a very entertaining listen. 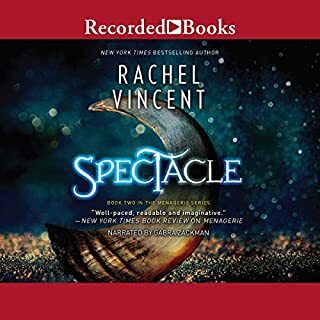 I love Rachel Vincent's books because even when she's writing urban fantasy it's different from what has become the standard vampire/werewolf stories that abound everywhere. Add the fact that she's excellent at telling these stories and I've been looking forward to this book since I first heard about it. This is not urban fantasy as defined anywhere, though it could be classified as contemporary fantasy. The synopsis does a good job of explaining the basic plot so I won't reiterate. But the story is more than just that of Delilah. 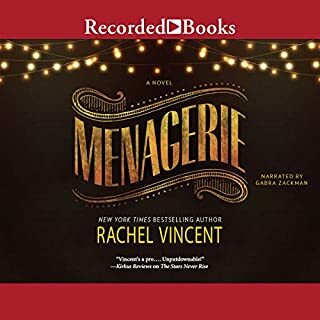 Unlike the other books I've listened to by Ms Vincent, this book is written in both first person (Delilah's POV) and third person (when telling the stories of others). This mixed person style works well. Delilah's character is well developed in the first person narrative as is Gallagher's in the third person portions. Many of the other characters begin to be fleshed out in this way as well and I look forward to her use of more of this in future volumes. While the book stands alone, as her books usually do, there is more than enough open-endedness for plenty of storytelling to come. Gabra Zackman is always wonderful as a narrator, though sometimes I find her inflections to be somewhat odd. For this book her performance was spot on and I can't imagine anyone else doing it. Now I just need to be patient while waiting for the next book in the series. That and figure out what to listen to next that will hold up after listening to this one! 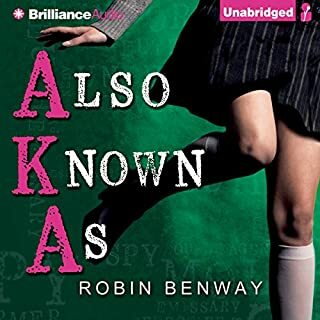 During a routine but dangerous Opti task, Peri Reed finds out her trusted partner has made her a corrupt agent. Her unique ability to jump back 40 seconds in time to correct a mistake leaves her vulnerable when her partner, who is responsible for replacing her memory of the event, gives her a false one. But Peri lives and dies on her intuition, and she begins to piece her twisted reality together as she flees her one-time secure situation at Opti. If you're thinking of getting this book because you loved the Hollows series then I suggest you pause first. This is a totally different genre, style of storytelling, type of character, kind of story, etc. If you've listened to Sideswiped you'll have an idea of the basic premise of the book. 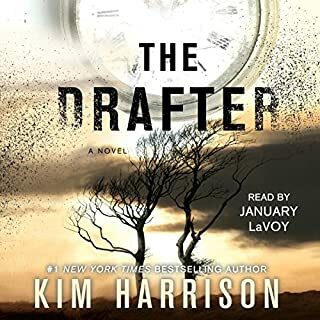 If you have not you should listen to it first since it's both a prequel and lets you get used the the premise, style, and narrator before starting this book. I did listen to Sideswiped first and was still not prepared for the drastic change in tone from even that book. While I could not seem to put it down I also found it very frustrating. It's difficult to explain the frustration without giving too much away but the basic premise of the book is that Peri has the ability to rewrite small amounts of time but then forgets. How much she forgets depends on how drastic the change was. It may be only the amount of time she rewrote or much more of her past. This constant alternation between her making progress on figuring out what is happening and then forgetting everything she'd learned led to the frustration. In the end I wasn't sure I was satisfied with the story and it's ending until I happened on something the author wrote where she states that this book is (at least in part) her commentary on Alzheimer's. In this context the frustration makes perfect sense. I still have no idea how she will make this into a satisfying series but I look forward to the next book to find out. 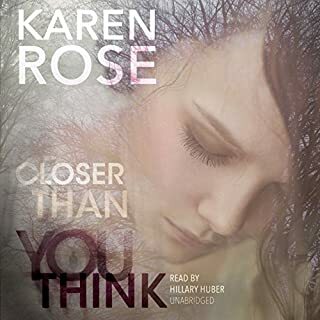 Karen Rose is one of my "must buy" authors and this story did not disappoint. I was concerned when I saw how long it was but I never grew bored or tired of listening. There were plenty of twists and turns to fill the time. Still I felt it could have been an even better book with a bit of trimming. By the time I was at hour 22 I was ready to head into the climax but knew I had 3 or 4 more hours to get to that point. I would also agree with another reviewer that some of the physical attraction seemed inappropriate for the circumstances at times. Hillary Huber did a good job but nothing outstanding. There were also more than the usual number of edits where the audio did not match well between the takes which is always a bit jarring. As others have said this book deals with a difficult subject and at times can be difficult to listen to but the subject is very well handled and addressed. The characters and situations are believable and well developed. The writing is excellent. And Tara Sands does a wonderful job bringing it all to life. It's one of those books that I'm glad I listened to rather than read. As others have said, this is the same story as Easy told from Lucas' point of view. In addition to his thoughts and viewpoints of the events in the previous book it also tells the story of the years leading up to it. The story does a great job of developing a character you thought you already knew from the previous book. But make sure you listen in the proper order. Seems so many urban fantasies come from the same mold. 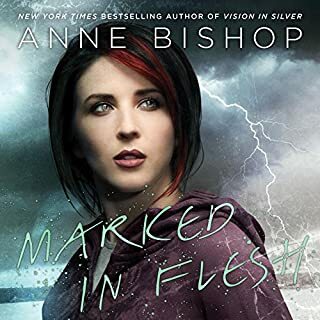 Anne Bishop has managed to create a unique world unlike anything else I've read or listened to. The story ranges from charming to horrifying, gradually gaining momentum to a stunning climax. Alexandra Harris gives a fine performance while not quite matching the best I've heard. I would give it a 4.5.